Dynasty Season 2 key art introduces Ana Brenda Contreras as "the real Cristal." There’s a new Cristal in town when Dynasty returns Friday, October 12 on The CW… and this is actually not a “new” Cristal at all, but rather, the real one. No, we’re not talking about Linda Evans, but we are referring to Ana Brenda Contreras who is joining the cast of the CW primetime soap for its second season. 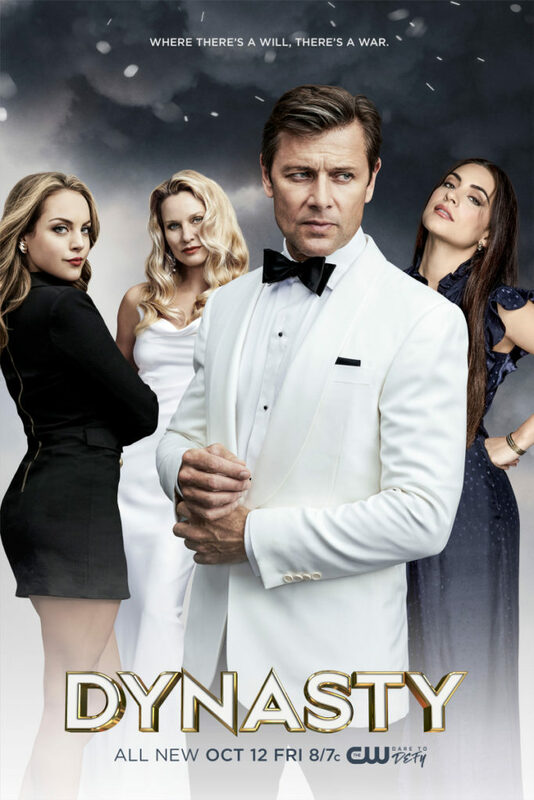 She shows up in some new poster key art that The CW just released for Dynasty Season 2; artwork that also includes Elizabeth Gillies as Fallon, Nicollette Sheridan as Alexis, Grant Show as Blake. You can see the poster art below; hopefully we’ll have an official CW description with spoilers for the season premiere soon. Photos from the Dynasty season premiere which is titled “Twenty-Three Skidoo” can be found here.